The Local Journo Thread - Page 11 - Hob Nob Anyone? Old Man Andrews Another signing missed by the local press. They have been missing things left, right and centre recently. I am not totally sure we even have shots these days tbh. TiagoIlori No, it’s just how he knows oxf*rd all to the point that I’m not paying attention to any of the Reading journos. Look down his profile, a toddler could do his job. Seems Reading have their own page, despite clearly not being in London. Courtney "Courts" Friday adament that Jem Karacan will not be signing for Oxford because he is Reading through and through. Says it is "highly unlikely". Cannot wait for this one to come back to bite him, will be glorious. Yes, it's all Trinity Mirror. i actually quite like the site. Its pretty readable and easy to navigate. And JLow has quietly become quite decent. I think there should be 2 minutes silence to mourn what the Evening Post has finally become. Sutekh I think there should be 2 minutes silence to mourn what the Evening Post has finally become. I used to deliver that paper! 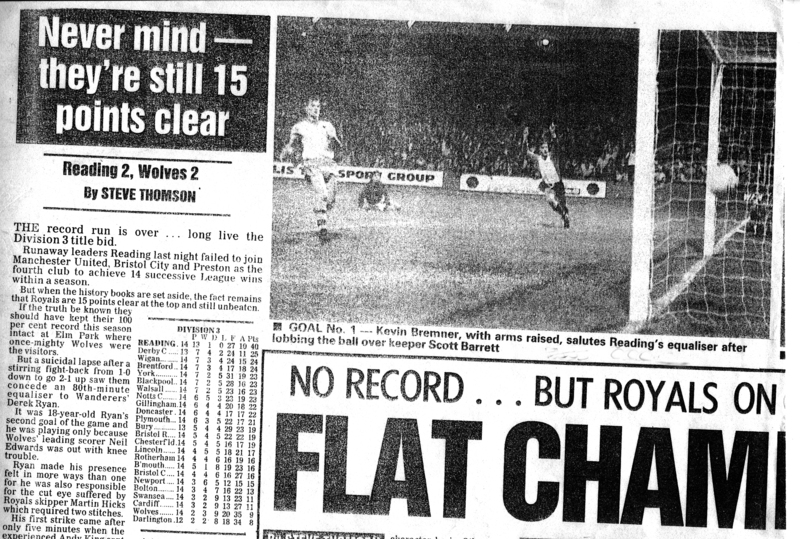 Used to love reading our match reports in it every Monday. Sad how times have changed. Old Man Andrews Courtney "Courts" Friday adament that Jem Karacan will not be signing for Oxford because he is Reading through and through. Says it is "highly unlikely". Rucking with the fans too. Nice. The guy is a joke. I don't agree with constant abuse and criticism of people just doing their job, but it's basically impossible not to get wound up be the sheer stupidity of the guy. There's basically no effort to even pretend to be or act like an actual journalist. It's just utter nonsense, the type of thing one of the 16 year olds within Y25 would blurt out when drunk on their 2nd lager down at the Walkabout. Hehe, yea been blocked for about 5 months. I kept seeing his tweets if someone replied to him, liked it or obviously RT'd it. He's the most hated "journalist" of all time. He stalks the board btw so be prepared for a response. Hey Courtney (nice name), you're a complete oxf*rd. That's why I blocked you as it was just garbage and I feel it discredits actual news outlets. So, There we are. I don't know you, I wish you well, I just wish you'd change the way you promote yourself and readingfc "news"
I feel like he is being like Charles Watts is now with his Arsenal reporting. Just giving teaser information in the tweets to get people to visit the site and read the full articles. Courtney Friday suggesting that Brighton signing a player could "pave the way" for Baldock to join us but in the same Tweet point out Brighton's new signing is immediately going out on loan making his earlier statement null and void. Last edited by Old Man Andrews on 20 Jul 2018 13:19, edited 1 time in total. Old Man Andrews Courtnet Friday suggesting that Brighton signing a player could "pave the way" for Baldock to join us but in the same Tweet point out Brighton's new signing is immediately going out on loan making his earlier statement null and void. Yeh that did make me He doesn't help himself does he?